If you find those dusty old cookbooks a little uninspiring, then maybe it’s time to go mobile. Smartphones and tablets are the perfect devices for combining recipes, photos, and how-to videos to get an interactive cooking experience that will transform your kitchen! New York Times columnist Mark Bittman’s bestselling compendium is converted into electronic format for on-the-go cooking. It features 2,000 recipes and over 400 how-to illustrations. How to Cook Everything also includes an easy-to-use search tool with five filters to help narrow the results, and every recipe features an ingredients list and step-by-step instructions. Timers are embedded throughout each recipe, so you can set the time for each phase of the meal. You can also vote on each recipe, or share it with friends via e-mail, Facebook and Twitter. One of the original cooking apps and still one of the best, Epicurious features a huge selection of recipes culled from a wide array of sources, including Bon Appetit, Gourmet magazine and numerous other cookbooks. 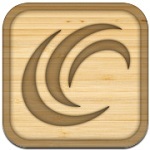 Search over 30,000 professionally created recipes and save favorites to your own personalized recipe box. 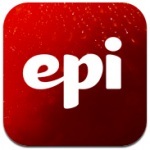 E-mail recipes and shopping lists to yourself and to friends and get recommendations from other Epicurious users. 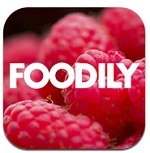 If you are looking for something different, Foodily delivers daily recipe inspirations based on your preferences, people you follow, or friends’ recommendations. Every time you open Foodily you will see new recipes and photos, or you can search for something across hundreds of blogs and recipe sites. 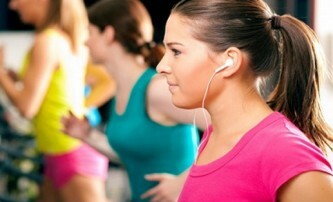 You can also add your own ideas and photos to share with friends. See something you like when eating out? Take a photo and add a few ingredients to get your own recipe to try at home. A selection of recipes from celebrity chef Jamie Oliver. 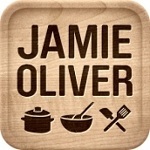 The free Jamie’s Recipes download includes a “taster pack” of ten recipes and three videos. Additional themed packs are available for $1.99 each. Themes include Date Night, Classic Comfort Food, 10-Minute Meals, and many more. Each pack has at least 10 recipes and includes additional videos. All recipes include step-by-step illustrations and a shopping list that allows you to cross off items as you shop. Find exactly what you are looking for by searching thousands of mouth-watering photos from food bloggers from all over the world. 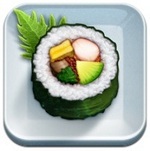 With foodgawker you can browse by latest submissions, most popular posts, or you can enter a keyword. Once you find something you like, just tap the photo and you will find a recipe, a restaurant review, or more information on your selection. You can save photos to your personalized favorites screen or share them with friends via Facebook, Twitter and more. Want a surprise idea? Just shake your device to get a random photo and take it from there! 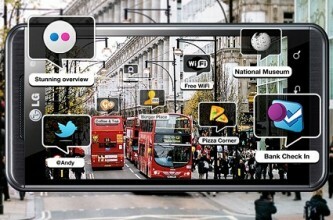 An app that lets you photograph and record those special meals that you would love to remember, or maybe even try at home. You could be at a restaurant, or a friend’s house, or at home having a romantic dinner for two. Evernote Food lets you take a photo of the meal and your fellow diners and add captions, location tags, and additional notes to help preserve the occasion. 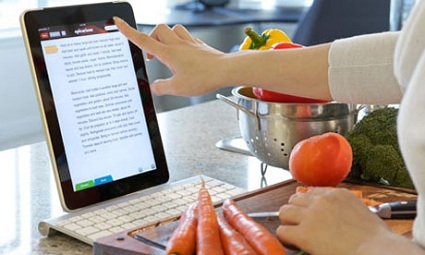 Evernote Food is the perfect way to start your own cookbook or share special moments with family and friends. 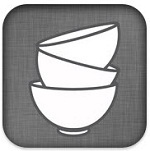 The essential cooking app for all Weight Watchers subscribers. Non-members can get the latest featured recipes, watch cooking technique videos, create shopping lists, and share recipes with friends via e-mail and Facebook. Weight Watchers subscribers can access thousands of additional recipes, with complete shopping, ingredient, and equipment guides. Weight Watchers Kitchen Companion is designed to encourage a healthier lifestyle and keep you on track with your chosen Weight Watchers program. If you are going to cook something special, then you will need a good wine to go with it. Cor.kz enormous database lets you browse or search thousands of wines and wine reviews. A barcode scanner allows you to get instant information while you shop, and a side-by-side comparison will help you make that final choice. You can find market prices, add favorite wines to your personalized wish list, and even track your consumption. A comprehensive reference section helps explain all those confusing wine terms and provides the perfect guide for beginners and experts alike.